There’s a sort of restless small breeze in the afternoons now that carries the sound and smell of the sea and whispers autumn is coming, but in most years, the end of August brings not the end of summer but the best beach weather of year. It’s the last weekend before the start of school for many, and the beaches are packed today. Impatient travelers crowd the canyon roads or crawl along PCH at 10 mph, seeking a last summer afternoon of sea and sun. On Monday, everything will be different. Solitude will descend on beaches that have teemed with summer beachgoers, and once Labor Day is past, even the weekend crush diminishes and the sandpipers and gulls have the beach to themselves again. 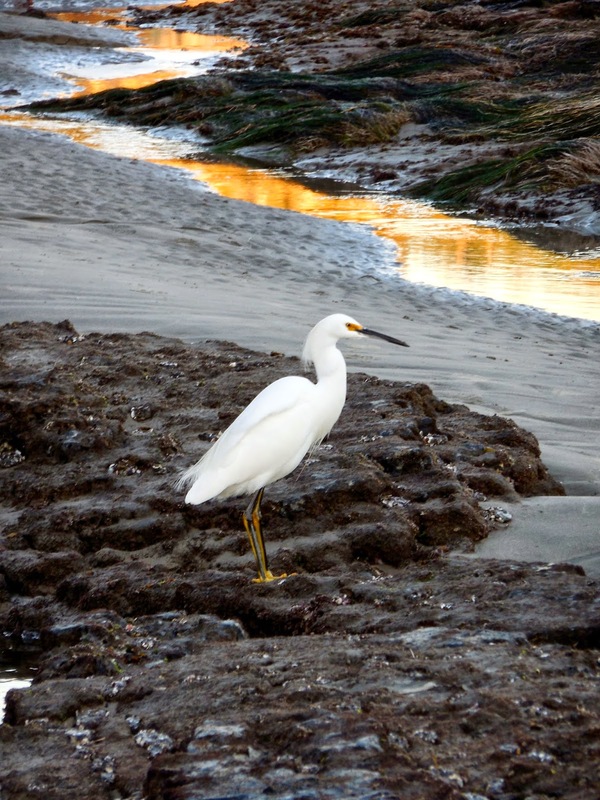 A snowy egret forages on a quiet weekday evening at Pirate's Cove. From September until the middle of October, the sun is out more often than not and the water is warm. By the end of October, the water temperature drops rapidly but the season of sunsets arrives, bringing with it all the birds of passage—species headed to the Southern Hemisphere and winter residents, returning from the north. 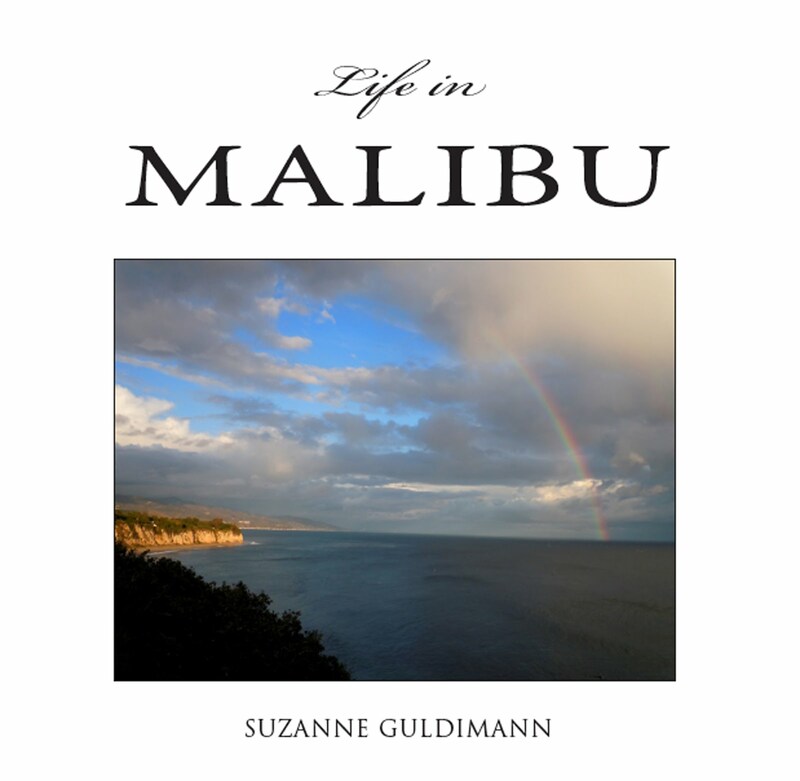 For me, this is the best time of the year to explore some of Malibu’s fabled 27 miles of shoreline. It’s amazing how much diversity exists along the Malibu coast—wide sandy beaches facing the open ocean; sheltered, cliff-lined coves where tidepools are full of life; dramatic sea stacks and caves that feel entirely away from civilization; and more urban beaches just a few steps from PCH. Autumn brings dramatic sunsets and some of the best best weather of the year. 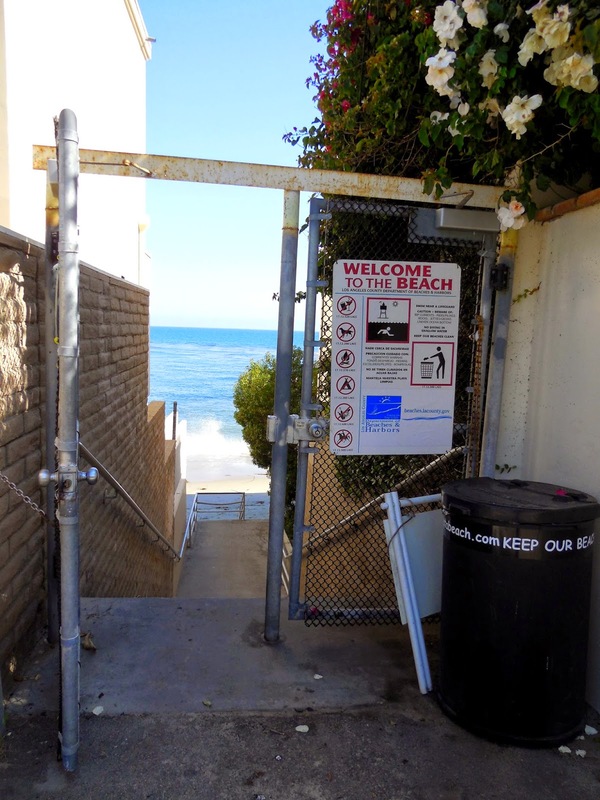 In 2013, beach access activist Jenny Price garnered media attention for her Our Malibu Beaches app, which features every public access way in Malibu. 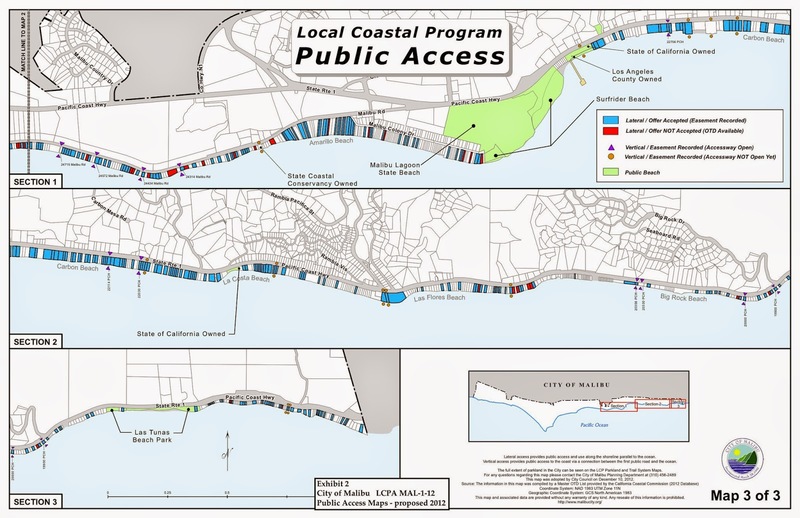 The app is available here, but visitors—and adventurous locals—don’t need an app to explore the coast; maps of the access ways are available at the Coastal Commission website, and many easements have signs that can be easily spotted from PCH. However, it is helpful to know what to expect when one gets there. Every beach offers something different. 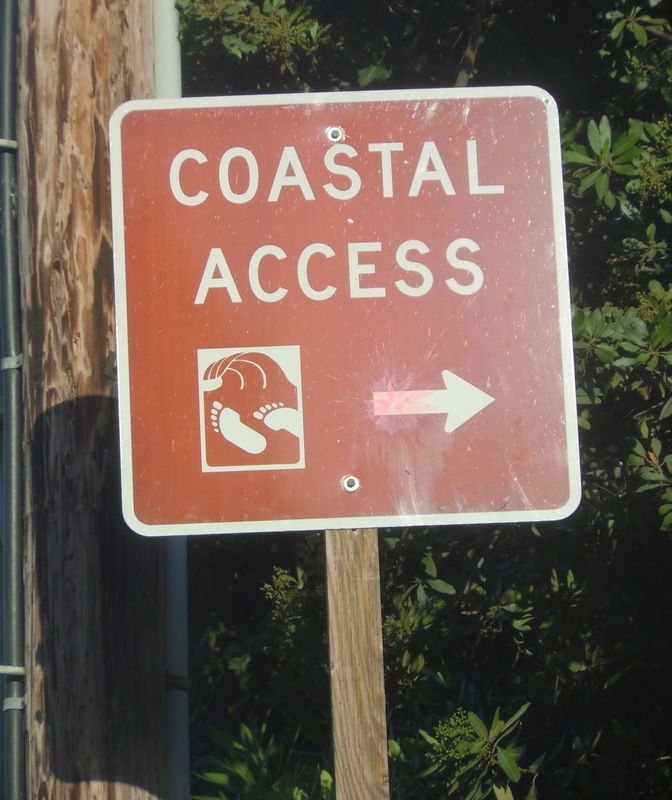 A coastal access sign points the way to a staircase leading to Escondido Beach. I interviewed Price for the May 21, 2013 issue of the old Malibu Surfside News. She told me that her main goal with the app was to highlight Malibu’s “less accessible” beach easements and to bring attention to what she described as fake driveways, illegal no parking signs, illegal and inaccurate trespassing and private property signs. 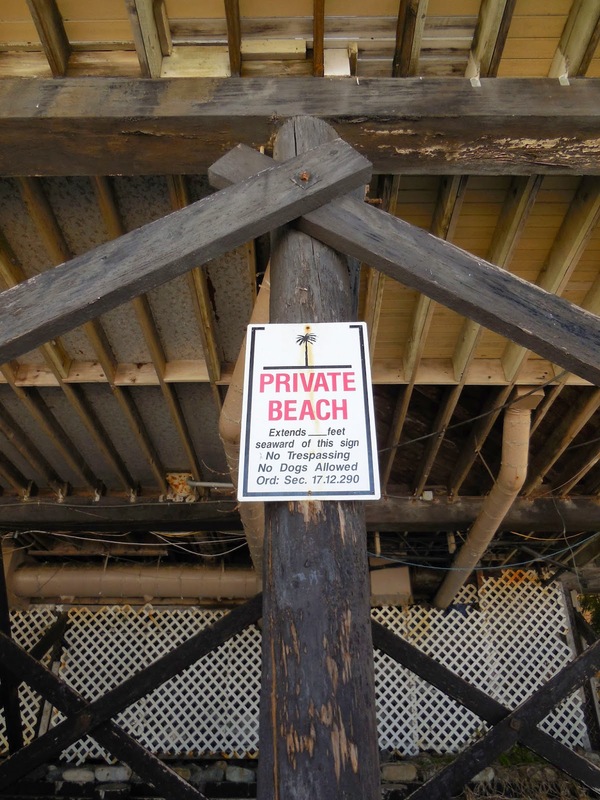 Price said that beachgoers have received citations, threats from security guards and other harassment while using dedicated easements and legal parking. It is an important step, but not the first one. 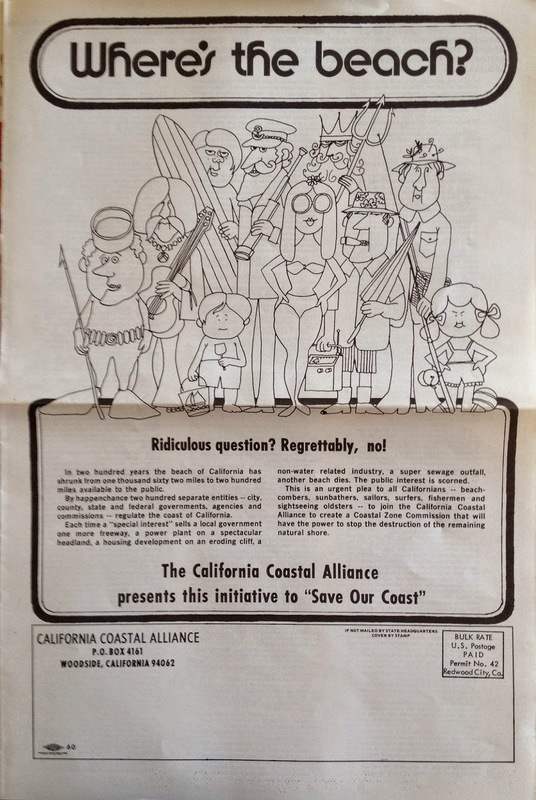 The first step was passing the California Coastal Conservation Initiative, Proposition 20, in 1972. Four years later, the state legislature enacted the California Coastal Act, providing the first real protection for 1.5 million acres of coastal land, and 1,100 miles of shoreline, and ensuring the public’s right to access the beach. The Coastal Conservation Initiative was a grassroots effort. My parents were among the thousands of volunteers who helped gather signatures to place the initiative on the ballot. The image above is the front of one of the original petition forms. It's a reminder that community members can prevail against seemingly insurmountable corporate-driven opposition, if enough people are passionate about passing legislation. 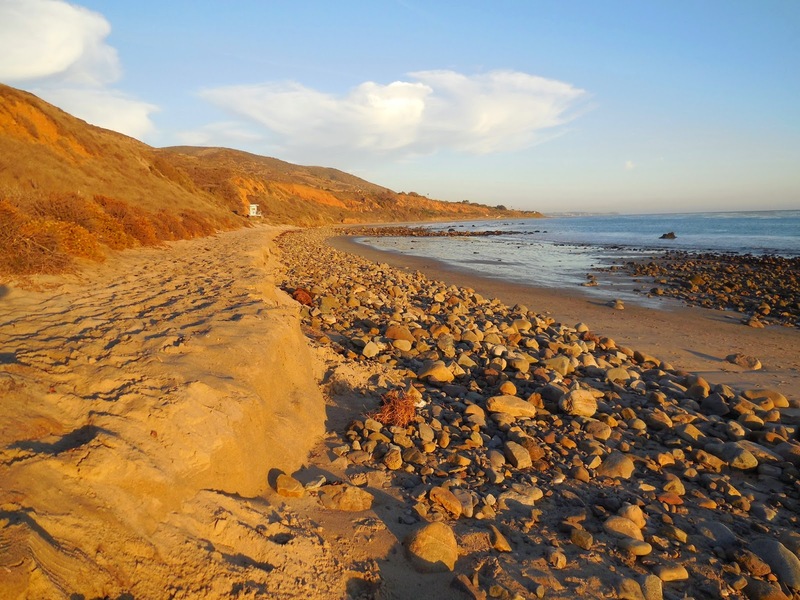 The Coastal Act may be far from perfect, but it's the main reason there's still so much open space in Malibu. It’s a complicated document, and while everyone who lives in the Coastal Zone, or is interested in protecting our coastal resources, should read it—the entire document is available here, the heart of the act is legislation that protects public beach access and environmentally sensitive coastal habitat. Under the Coastal Act, the public has access to almost the entire California Coast below the mean high tide line. And, in many places where private homes line the beach, “lateral easements” have been negotiated that allow beachgoers access to dry sand. 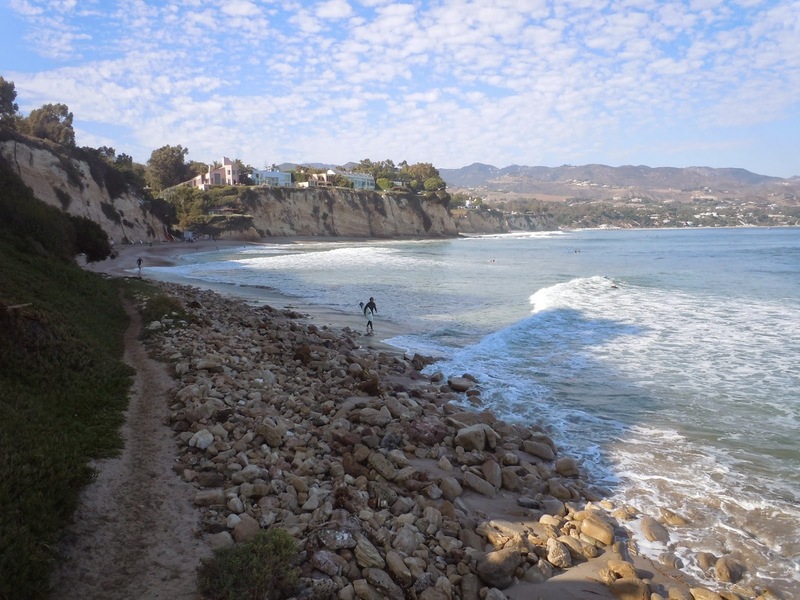 The beach side of the "Great Wall of Malibu" is a bewildering mix of lateral (dry sand) easements and fiercely guarded private beach, but the right for the public to use the beach below the mean high tide is part of California State law and applies to every inch of California's 1,100 miles of coastline. Only the military has the authority to prohibit access. Thanks to the Coastal Act, almost the entire California coast is accessible to the public. 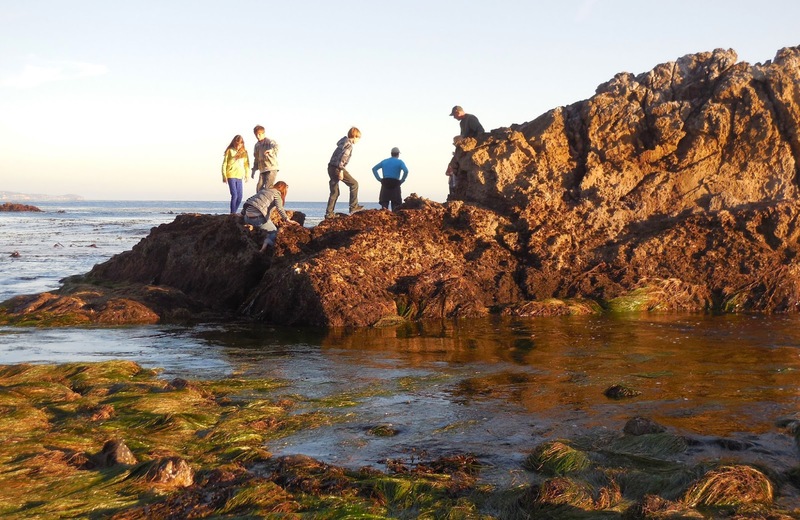 Above, beachgoers take advantage of an extreme autumn low tide to explore the intertidal zone at Leo Carrillo State Park. 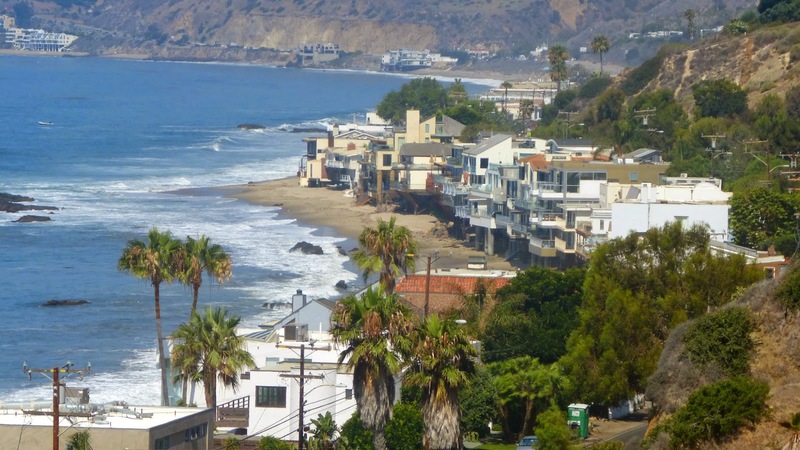 It’s true that parts of Malibu have been a longstanding battleground of access issues. One inventive billionaire on Carbon Beach installed fake garage doors to prevent the public from parking in front of the easement on his property; another put a hedge, a wall, an air conditioning unit, and a tennis court on property they agreed to deed as a vertical easement as a condition for receiving a Coastal Development Permit; and the Coastal Commission heard from two Malibu property owners in June who argued that the vertical easements on their properties had "expired," despite the fact the deeds run with the land in perpetuity. But things are things are improving. 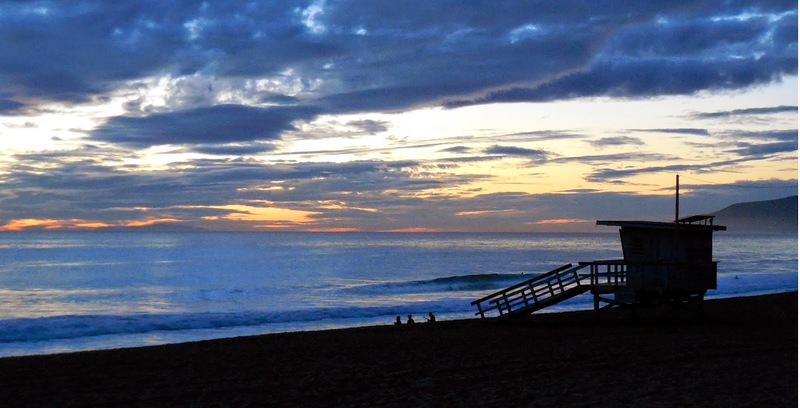 The Coastal Commission was recently granted the authority to levy fines on obstructive property owners, which may speed the removal of some obstacles. Sea level rise is bound to complicate the mean high tide issue along house-lined local beaches. In this case, loss of sand appears to have pushed the mean high tide line all the way under the pylons of this Malibu Road house. Warner Chabot, an environmental consultant and former CEO of the California League of Conservation Voters, said in a press release that of almost 2000 outstanding Coastal Act violations throughout the state, most involve blocking access, removing access signs or posting illegal and unauthorized “no parking” or “no beach access” signs. Beaches with high density housing are inevitably the site of access issues. This photo shows cheek-to-jowl Malibu Road in the foreground and Corral Beach, with wide stretches of open space, in the background. In eastern Malibu, Carbon Beach, Malibu Road (the Beach is officially named Amarillo Beach, but no one ever calls it that) and Escondido Beach remain a confusing patchwork of public and private sand—the City of Malibu map shown above details which is which, and Jenny Price’s app is also useful for sorting out where you can sit and were you can’t. 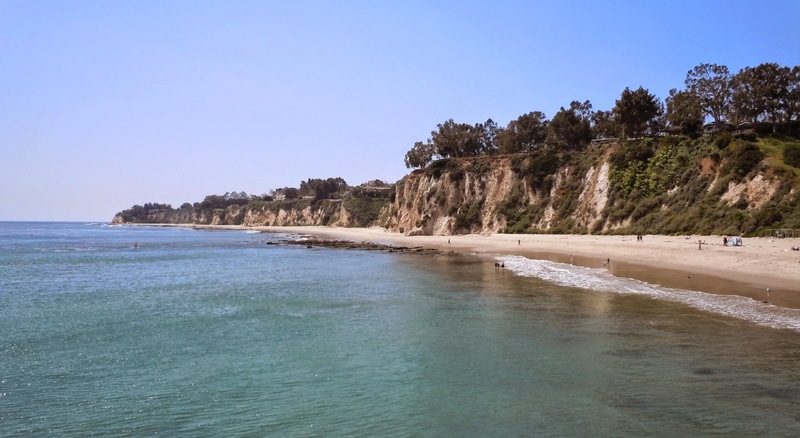 Western Malibu, which has many of Los Angeles County’s most beautiful beaches, is much more welcoming, and offers miles of easy to access coastline with ample parking. One of the Malibu Road vertical easements that are opened at sunrise and locked at sunset. I admire the determination of activists like Price, but have to confess that many of the hotly contested easements at locations are not my idea of inviting places to spend the day at the beach—access ways are crammed between tightly packed houses, and the only beach at high tide is under the pylons supporting the houses. Most of these easements are a matter of principle rather than comfort or convenience, and none have restrooms or lifeguards. 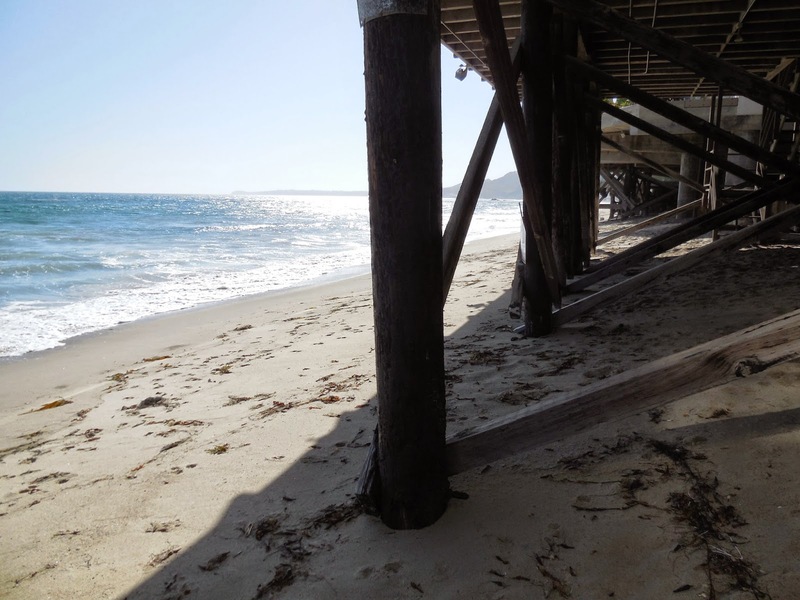 I'm not sure why anyone would want to spend the day under a bunch of creosote-soaked pylons, but the beach easements at Malibu Road and the Malibu Colony offer interesting starting points for low tide walks, while Carbon Beach showcases some unusual architecture. 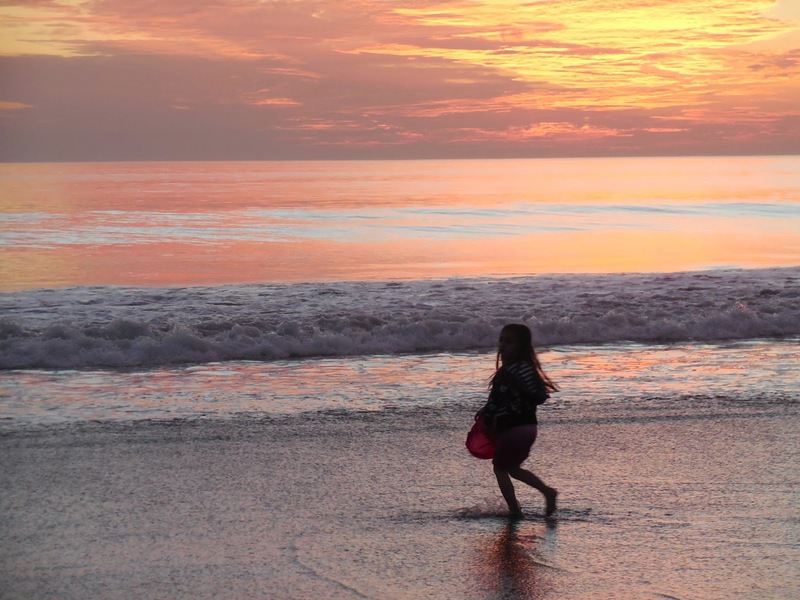 I would much rather watch the sunset at Westward Beach, or prowl the tidepools and rock formations at El Matador Beach and Leo Carrillo State Park—three of the most beautiful beaches anywhere. 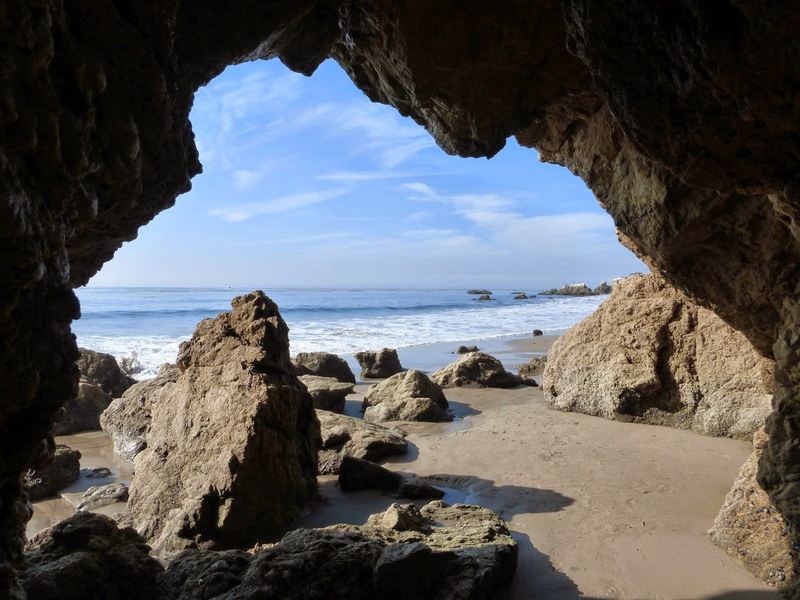 El Matador Beach, with its impressive rock formations, sea caves, and plenty of space is an inviting place to spend the day. There are a dozen roadside beach options, too: Corral Beach requires a scramble down a small slope, but it's a good beach for swimming and has a lifeguard tower. Westward, Zuma, El Matador, El Pescador, La Piedra, Nicholas, and Leo Carrillo beaches all have pay lots with restroom facilities, but they also offer free parking on PCH. Just don't leave valuables in your car—these are popular locations for smash and grab burglars. These western beaches feature plenty of sand, rugged rock outcroppings and many continuous stretches of uninterrupted public beach that are ideal for long walks. And one can park along PCH almost anywhere north of County Line and south of Point Mugu and find secluded coves and views of open ocean and empty sky. 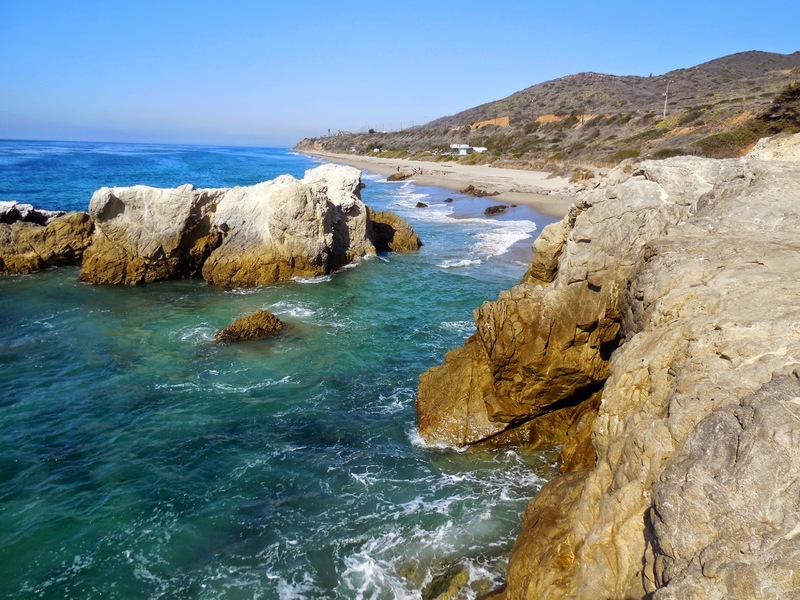 Leo Carrillo's North Beach, above, and southern section, called Seccos by the surfers, below, have doubled for everything from tropical islands to the coast of England in numerous movies and TV shows. It's easy to see why. My favorite beach walk includes the Point Dume Nature Preserve. There's a handful of parking spaces on Cliffside Drive, but the best place to park is at Westward Beach. It's a short walk from the roadside parking to the trailhead at the base of the Dume headlands. The trail leads up the bluff and around the headlands. Sea lions like to sun themselves on the rocks below. In winter, whales pass so close you sometimes hear them breathing before you see them. The access stairs to Pirate's Cove would be right at home on a ghost ship—it's rusty and precarious, but well worth the effort to climb down. 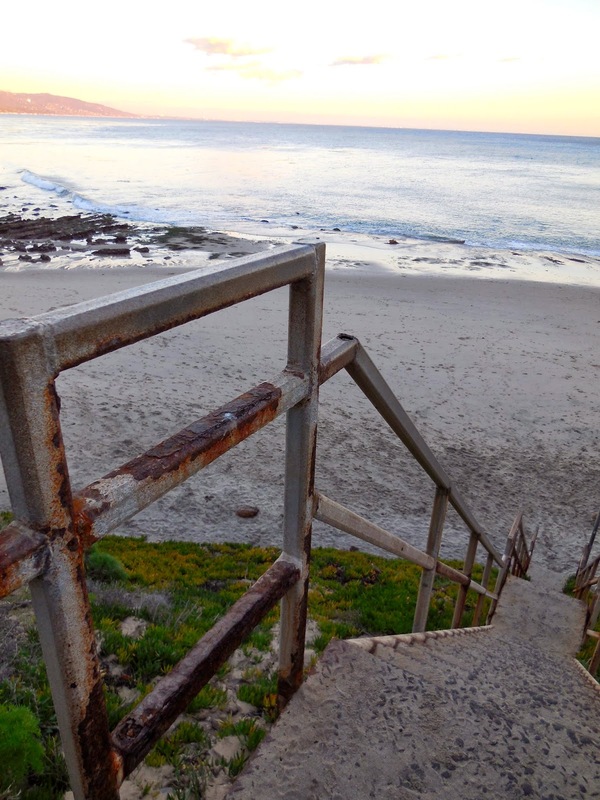 On the east side of the point, where the ancient Chumash kept a shine site, a rusty, rickety iron stairs leads from the top of the bluffs down to Pirates’ Cove. There are tidepools to explore here. But it's just as pleasant to sit on the sand and watch the waves roll in. The Point faces due south. It's open sea all the way to Antarctica. A surfer heads into the water at Little Dume Cove, east of Point Dume State Beach. High tides can isolate all of the Dume coves. Walkers need to check a reliable tide table before setting off on a long walk on this stretch of coast, or risk getting stranded until the tide turns. When the tide is low, it’s an easy walk from here all the way to Escondido Beach, but don't go too far and watch the time. Each cove along the shore may be transformed into a desert island when the tide is high. The coast from the west end of Paradise Cove to Zuma Creek at the far west end of Westward Beach is a designated Marine Protected Area and an area of special biological significance that is home to an astonishing array of bird species and marine and intertidal organisms that range from sea cucumbers and tunicates to dolphins and whales. No two visits to any beach are ever the same, but it’s always a worthwhile journey. We are fortunate to live in a place where that journey is open to all who feel the elemental call of the running tide. 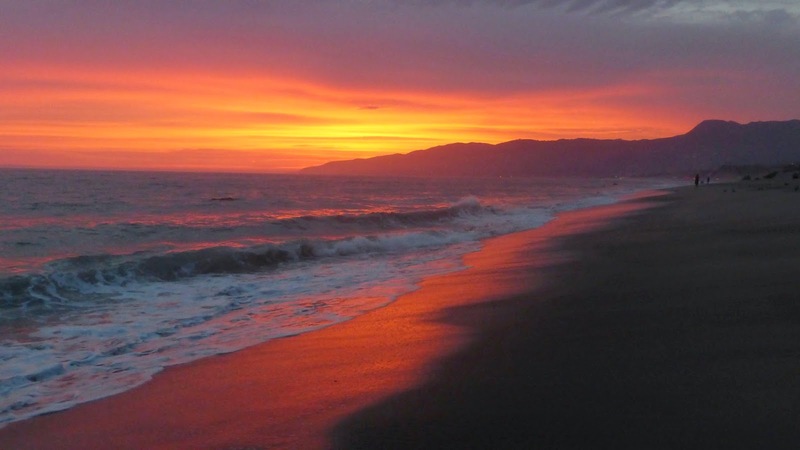 An August monsoon transmutes sky and sand into fire opal during sunset at Westward Beach.